Step inside Shamoli Restaurant and you are entering an entirely different world - one that combines relaxed elegance and sophisticated ambience with all the flavour, colour and aroma of Northern India and Thailand. Shamoli Thai & Indian is situated in the middle of the iconic, Edinburgh Royal Mile. The heart of the glowing city, only a stone's throw away from the vibrant and iconic Fringe Festival which runs during the month of August. So this means not only is Shamoli an excellent place to dine and discovers the bright flavours Thai and Indian to offer but after your meal, you still have time to take in all the vibrancy Edinburgh has to offer. 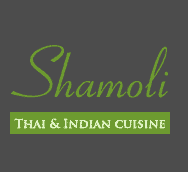 Shamoli is the best of both worlds, a Thai restaurant and an Indian restaurant, all under one roof!